Russian Prime Minister Dmitry Medvedev has given the Transport Ministry, the Finance Minstry, and the Ministry of Industry and Trade until September 2017 to come up with trade-in schemes that could be offered to airlines looking to purchase the country’s new Irkut MC-21 narrowbody passenger aircraft. Medvedev’s decree to that effect has been posted on the Russian government’s website. 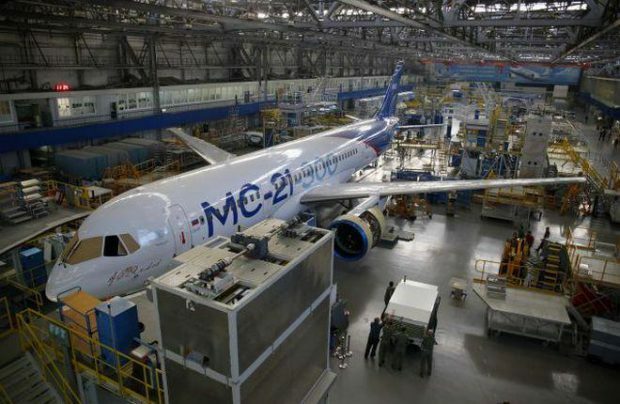 The trade-in model, which implies that an operator can give up its current aircraft in partial payment towards the newly ordered ones, is expected to spur demand for the MC-21, thus moving Russian carriers to renew their fleets. Industry experts warn that any such scheme would not work without leasing companies acting as mediators. A lessor would receive MC-21s on special terms and then lease them to operators in return for older airliners with a relatively high residual value. Under such a scheme, the MC-21 is expected to replace Boeing 737CL and Airbus A320ceo aircraft in Russian operators’ fleets. Finding new customers for the airliners thus phased out should not be much of a challenge. Trade-in schemes are broadly used by the leasing divisions of major OEMs (such as Boeing Capital Corporation and Airbus Asset Management) as a measure to stimulate sales of new aircraft models. Applying the same method to the MC-21 would give lessors access to a variety of narrowbody aircraft, effectively making their portfolios more versatile.